Most marketers and business owners have a more is better approach to the keywords used in their Google Ad Words campaigns. Although you should experiment with multiple keywords, you should never jam them all into a single ad group. Not only will your Cost Per Acquisition (CPA) and Cost Per Click (CPC) rates hit the roof but you’ll also drastically decrease your Quality Score (QS). 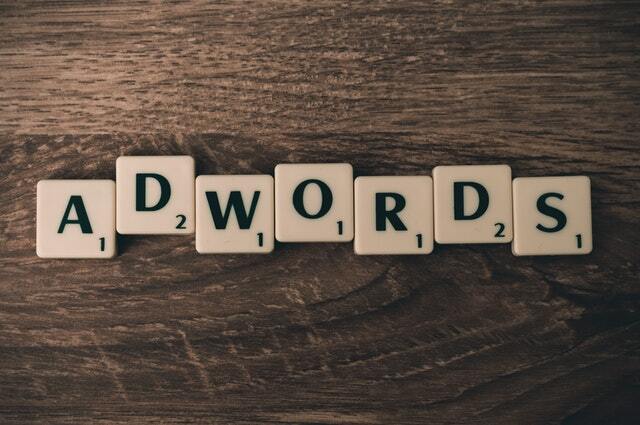 Is there a magic formula when it comes to how many keywords you should include in your Google AdWords campaigns? Well, that’s where Single Keyword Ad Groups (SKAG) become vital. By using SKAGs in your ad campaigns, you’ll narrow down on your audience, increase relevancy and boost your CTRs. Although AdWords is a highly efficient and extremely cheap marketing tool to attract prospects to your services and products, it’s also one of the most complex online marketing tools available. Nevertheless, AdWords guarantees conversions. And the best way to bypass its complex architecture and fully optimize your ad campaigns is by implementing SKAGs. 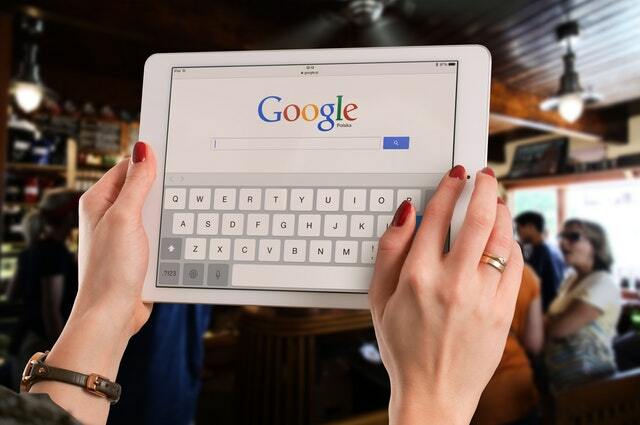 Searching on Google: are you attracting the right audience? The definition of SKAGs is straightforward and clearly reflected by the acronym itself. Single Keyword Ad Groups are ad groups which only include one keyword and guarantee a laser focused and more granular ad. By making just one change in your account structure you can immediately optimize your ads’ conversion rates. Before going further into the world of SKAGs, we’ll briefly go over the organizational structure of Ad Words Accounts so that we’re all on the same page. An AdWords account includes all the information about your online ads. Within an account, you can have one or multiple campaigns. What’s a campaign? It’s where you configure the settings for your ads including budget, geo-targeting, and language. Although many tend to create only one campaign, you’re better off creating multiple. You could get by with only one campaign if you have a fixed budget and only looking to target a single language and region. A campaign can include one or more ad groups. Google will ask you to create only one ad group, but you should have as many as possible, even reaching the allowed limit. An AdGroup is a tight ecosystem which contains your ad and keywords and automatically matches them to guarantee that your ad shows up in searches for queries relevant to the keywords. What’s Wrong With Your Account Setup? When you first create your Google AdWords account, Google will ask you to link it to your Gmail account. You choose the goal for your ad and then select your target regions of business. You’ll be asked a series of questions to help Google AdWords identify ideas and relevant keywords to your business. You’ll get a wide variety of suggestions for potential keywords relevant to your niche. Users typing in those keywords in their searches will see your ad. However, it’s a recipe for disaster. The keyword suggestions are too extensive and your value proposition’s efficiency decreases. For example, if users search for B2B marketing guide, they won’t convert on an ad for B2B marketing agency. You can’t have a single ad struggling to be relevant to a wide range of keywords. However, that’s exactly what Google wants because it increases the costs of the ads you run. So, instead of using AdWord’s default account setup you can use SKAGs to target variations of one keyword. This way, you’ll keep your keyword: search term ration down to almost 1:1. To have a clear view of why you should aim for a 1:1 keyword: search-term ratio, you should know the difference between a keyword and a search term. So, what is a keyword? The keyword is what you bid on in Google’s AdWords, and it’s used by the search engine to show your ad when it’s considered relevant. However, search terms are the words typed in by users in the search engine to find what they’re looking for. That’s why you should focus on search terms rather than keywords. They reflect the true intentions of the searchers and guarantee conversions. You should steer clear of the Iceberg Effect which involves having your ads triggered by multiple search terms when you’re using only one keyword. SKAGs target one keyword in separate ad groups through match types. They’re designed to guarantee a 1:1 ratio between your ad and the keyword, by using variations. You should focus on using broad match modified, phrase match and exact match options to create variations for your keyword. The broad match modified option will allow your ads to show when users search for the modified chosen terms in any order. For example, the keyword +B2B + marketing will work with a wide range of relevant searches. Phrase match will allow your ads to show on searches matching a phrase or very close versions of the phrase by adding words. However, if words are added in the middle of the phrase, or in a different order, your adds won’t show. For example, if someone searches for best B2B Marketing agency, your ad will be triggered. But, if users search for best Marketing B2B agency, your ad won’t appear because it doesn’t contain the phrase-match keyword. The exact match option will trigger your ad on searches which exactly match your keywords. 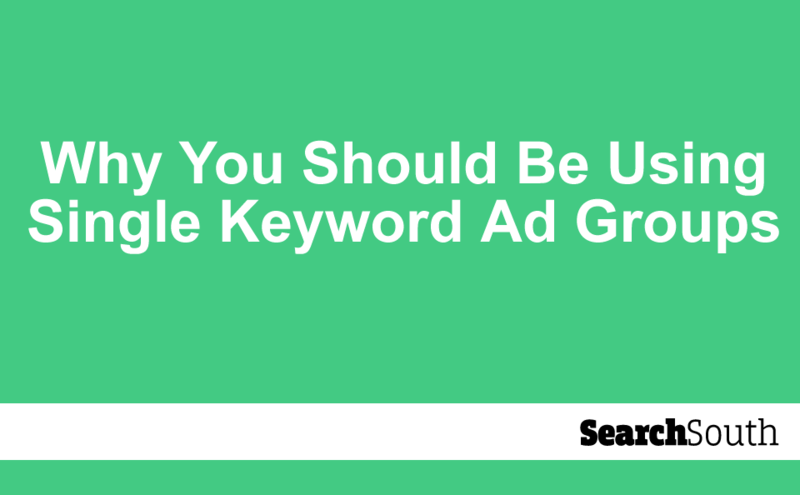 You should ignore the broad match option because it allows your ad to show on searches which are very vague and loosely linked to your keyword. 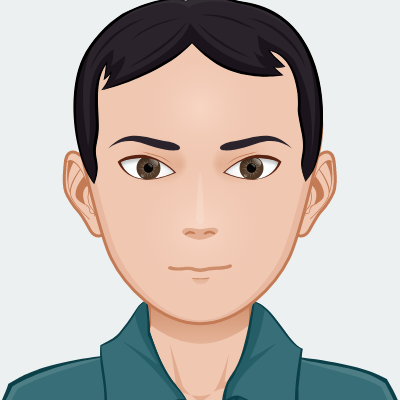 There are two main reasons for using broad match modified, phrase match and exact match options. First, if users search for the long tail version of your keyword, your ad will still show and by removing the broad match option you steer away from irrelevant traffic which was ruining your QS. You can take things a step further and build longer tail keywords inside the same Ad Group. You can add a modifier such as online and create B2B Marketing Online. You can check if users are searching for an online version of B2B Marketing. Your original B2B Marketing term still applies from a relevancy perspective, but you’ll become more granular with your data collection. You can put in as many variations of your keyword as you want. You should check the search term reports for real-time insights. By checking if other users matched your term, you can decide to put that term as a negative keyword. Also, you should be careful about using keywords which include names of competitor brands. Do not include a competitor’s brand in the content of your ad because you might face copyright infringement issues. Through SKAGs you can create ads which closely match your keywords. For example, you can create an ad by including your keywords in the 1st and 2nd headlines. The description should explain what the user will find and the reason why they should click on the ad. You can also include a call-to-action in the description field. The path should also include your keyword. So, when someone searches for your keyword, your ad will show up and the keyword will be bolded in the headlines. It draws users’ attention and matches their search exactly becoming highly relevant to them. When adds are relevant, your QS score increases as well as your CTR rates. You can create your next SKAGs using the Google Editor by simply copying and pasting the terms from your previous ad group and by changing the root terms and long tail variations. For example, if you’re creating an ad group for B2C marketing you should replace the B2B terms within the pasted terms. Many online businesses have increased their QS and CTR levels through SKAGs, leading to a boost in sales. For example, Clicteq managed to increase the CTR by 28.1% from 3.85% and reduce CPA by about 11% after two months since implementing the strategy. They also improved their average QS from a low 5 to around 8. On other campaigns, their CTR increased by about 14% and CPC rates decreased by 21%. 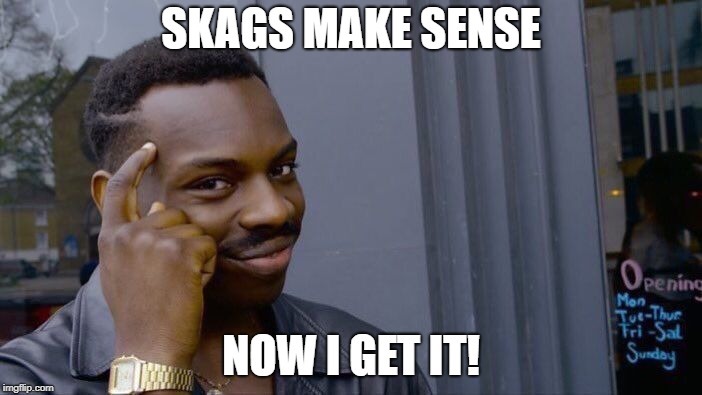 SKAGS make sense. Now I get it! Also, Sam Owens of PPC Hero increased CTR by 22% and decreased CPA by 50%. 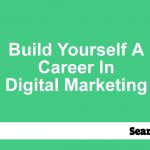 However, what you can do to test the strategy before deciding to permanently implement it is to create ad groups following Google’s instructions and include 10-15 keywords per ad group. 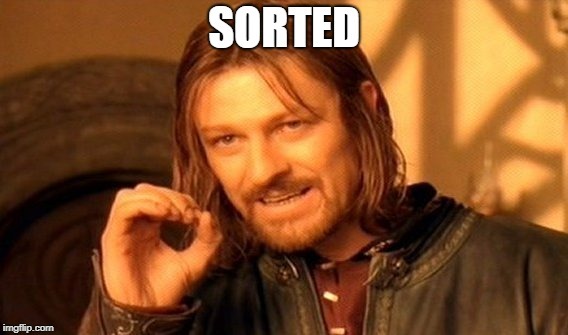 After a couple of months select the top 3 ad groups and switch to SKAGs strategy. By making a monthly comparison you’ll notice the jump in CTRs and a drop in your CPC rates. Although SKAGs does require a lot of time and effort to implement, the results speak for themselves. You’ll create ultra-relevant ads and boost your sales immediately. You should begin by testing wide. Create 3 to 4 USP variations and test every one to check which performs better with your target audience. To calculate the validity of your data you should use tools such as Splittester which will indicate which ad has better performance levels. However, you can also use Adalysis if you have a large AdWords account. You should keep a record of your test data. When you finished about 5 to 10 wide tests you should know which ads perform better with your target audience and attract more CTRs. Now, you can focus on narrow testing and make smaller changes including the use of trademarks in the ad’s copy, seasonal headlines, various punctuation marks, using dynamic keywords or synonym of terms. Although the impact of narrow testing on your CTR rates is lower than wide testing, it pays off in the long run. If your ad is triggered by searches performed by your most relevant audience, the ROI on your AdWord’s campaigns will immediately increase. You’ll see a huge growth of the CTRs and your QS rates. However, the overall benefits of SKAGs are limitless. SKAGs guarantee accurate message/ad match, precision targeting, increased conversions, better quality scores, and lower CPCs. You’ll want to achieve a higher quality score because it leads to lower costs per conversions. A study performed by Disruptive advertising on 2,000 AdWords accounts returned results showing that accounts with higher quality scores had lower conversion costs. Google AdWords provides a breakdown of your QS through three main factors including Ad Relevance, Landing Page Experience and Expected CTR. It helps you identify what you need to improve to reach a higher score. However, the factors which directly and indirectly influence your QS include the ad’s current and expected CTR rates, the URLs previous CTR, the ad to term search ratio, the landing page’s quality, the ad’s geographic performance, and performance differences per device. AdEspresso performed a study on 104,256 ads which indicated the once ad relevance and CTRs increased the CPC rates dropped dramatically. adAlasys also discovered that ad relevance (22%), landing page relevance (39%) and expected ad CTRs (39%) significantly influenced the QS. Because SKAGs are incredibly specific to one keyword they guarantee 100% ad relevance levels. Your ads are personalized based on the keyword and only show when accurately triggered. It’s the same with landing pages, which are customized to the specific value proposition and keyword. When your CTRs and QS improve, your site’s rankings will increase. You’ll begin to outrank the competition even though your keyword bid has decreased. It’s because Google focuses on user experience and quality content. Once your QS score and ranking improves, you’ll notice an increase in your impression shares. This means that out of the number of impressions for specific keywords, your ads will show more frequently. SKAGs allow you to be more responsive and flexible in modifying ad campaigns. Trough the wide range of options available you can create accurate and precisely targeted ad campaigns which in turn will increase your overall CTRs and conversions. By using SKAGs you can easily identify underdog keywords which aren’t providing you with the expected results. You can either suspend the keywords to adjust your budget or turn the ad groups off completely. However, SKAG keywords which show discrepancies between high CTRs and conversion rates are opportunities for retargeting. You can check the number of searches for each match type, each search query and keywords instead of an average CTR or CPC for multiple keywords. It’s the level of precision you should aim for in your reports. Matching your ads to keywords creates a streamlined and flawless user experience. Your CTR rate will improve by communicating with your clients in their terms. Because you understand the users who’re clicking your ads, you can customize your landing page to guarantee a personalized user experience. You’ll ideally create a streamlined user experience which keeps your prospects focused on the same objective from the moment when they click on your ad to when they convert on your landing page. Through AdWords Editor you can create SKAGs in record time. If you identify a new keyword for your next ad, you should just copy and paste the content of your current ad and replace the root keywords. Despite the many benefits of Single Keyword Ad Groups, they’re not always applicable. Before you get excited and start using the strategy in your ad campaigns, you need to know when you shouldn’t use them. Because you’re making many ad groups, you’re spreading your data thin, meaning it will take longer to perform ad testing. SKAGs is a strategy for dedicated marketers and advertisers who are ready to put time and effort into developing their ad campaigns. However, despite its high maintenance levels, the strategy is incredibly efficient. Google AdWords is a highly resourceful online marketing tool which guarantees fast sales on services and products. Users are always searching online for ways to solve their problems immediately, so their search intent is incredibly high. This translates into easy and straightforward sales for advertisers. However, AdWords is very complex and has so many settings which can also lead to your overspending without any returns. That’s until you use the SKAG strategy instead of setting your AdWords account according to Google’s instructions. You’ll precisely target your audience and make sure that your brand’s message is efficiently communicated and leads to higher CTRs. You won’t be wasting any money on irrelevant CTRs. Instead, your QS and sales will skyrocket and your ad-related costs will drop. It’s guaranteed a win. 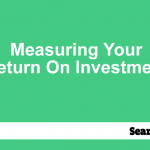 Are you measuring your return on investment correctly?